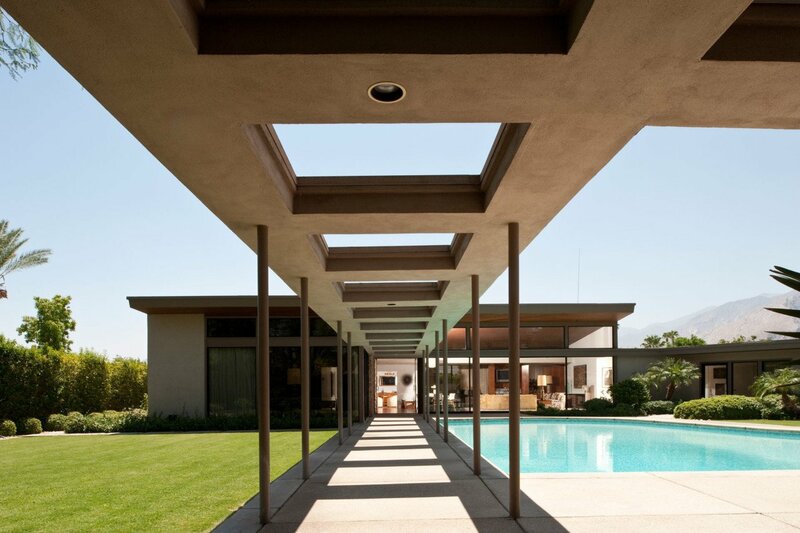 The famed Sinatra House was designed for Frank Sinatra and his first wife, Nancy, by E. Stewart Williams in 1947. It marks Williams’ first commission after he joined his family’s architectural practice, Williams, Williams, &amp; Williams. The pool is even shaped like a piano.